Accessories :: Others :: Peppermint oil, 100% natural. 10ml. Home/Accessories/Others/Peppermint oil, 100% natural. 10ml. Essential oil of mint has a very wide application as an effective agent for both the soul and the body. A fresh, strong, bright fragrance of menthol is a source of vivacity, energy, inspiration. 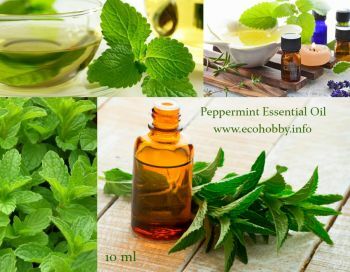 Peppermint oil is also widely used in handmade gifts when creating aroma-candles, home cosmetics and soap-making, for flavoring gifts. Scent: sharp, penetrating mint scent based on its high menthol content. Cautions: Do not take internally. Dilute before use; for external use only. Avoid peppermint during pregnancy. As with all essential oils, never use them undiluted, in eyes or mucus membranes. Keep away from children.